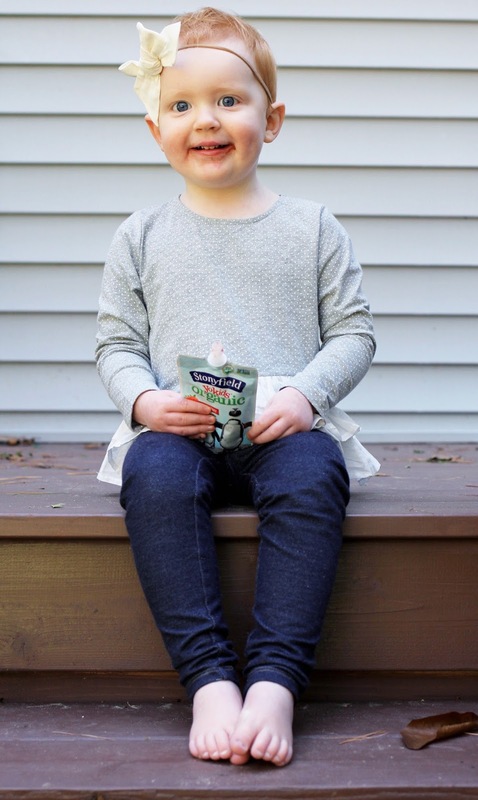 Today’s post is sponsored by Stonyfield® Organic YoKids®. 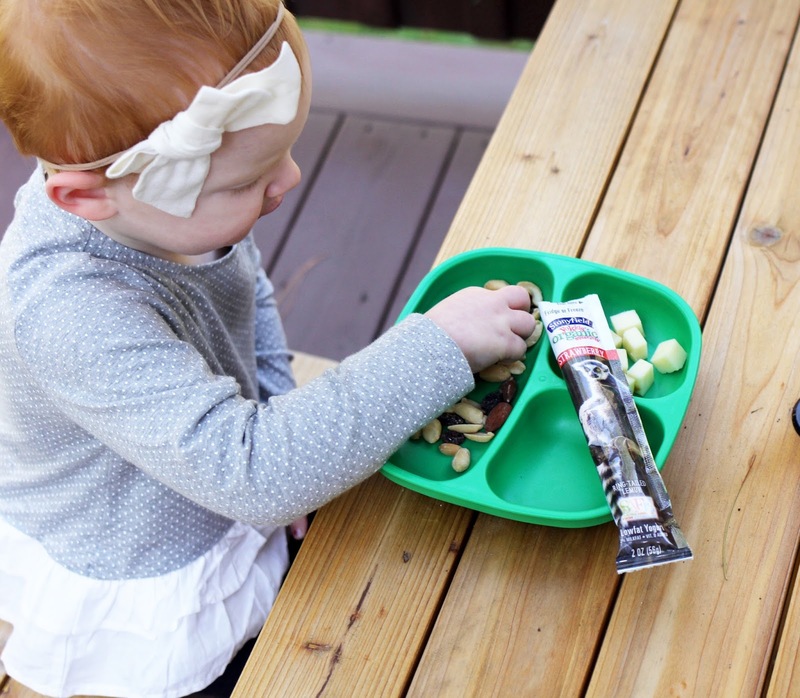 My kids can be picky eaters….and snack time is no exception. If they like a certain snack on a Monday I can almost guarantee you that by Wednesday they will not even touch it. 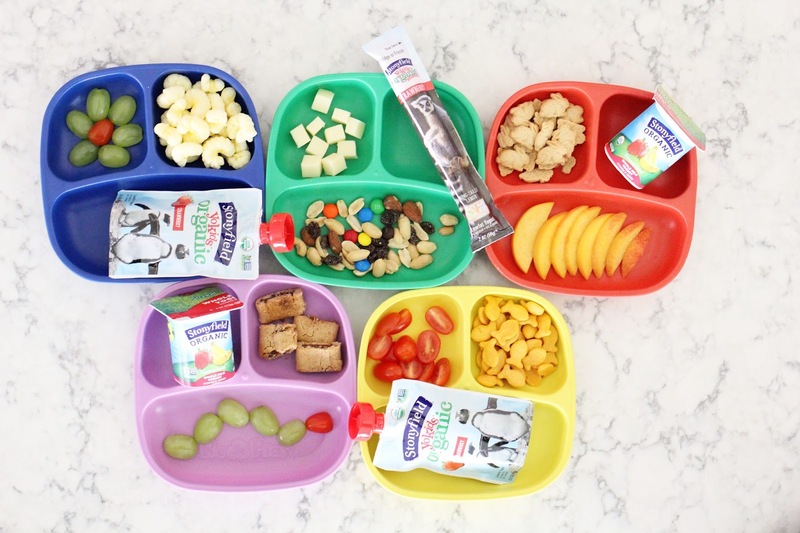 So I try to mix it up at snack time as much as I can! 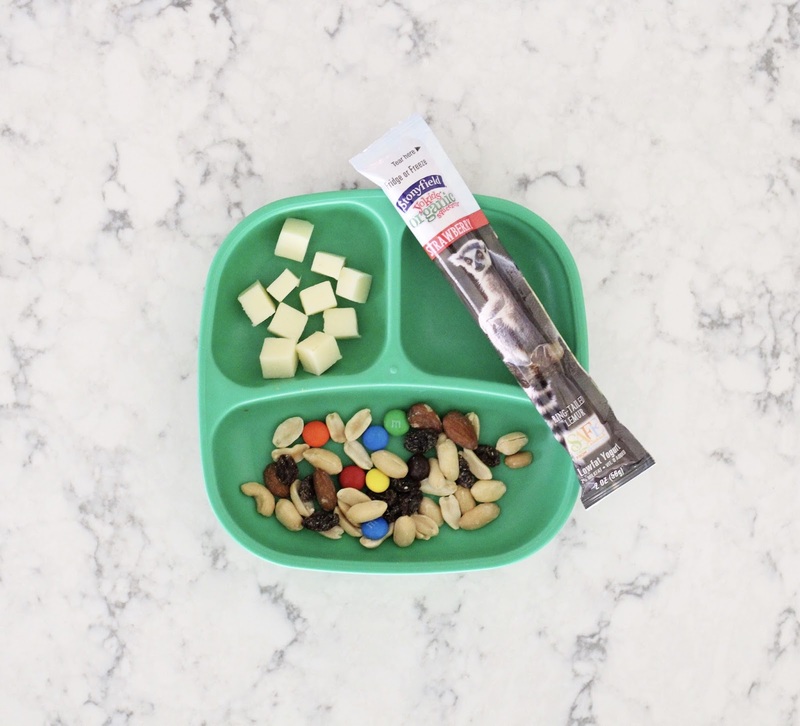 I’ve also learned through the years that my kids like their options…so at snack time I try and give them a little bit of a few different things…and I try to make it fun too! 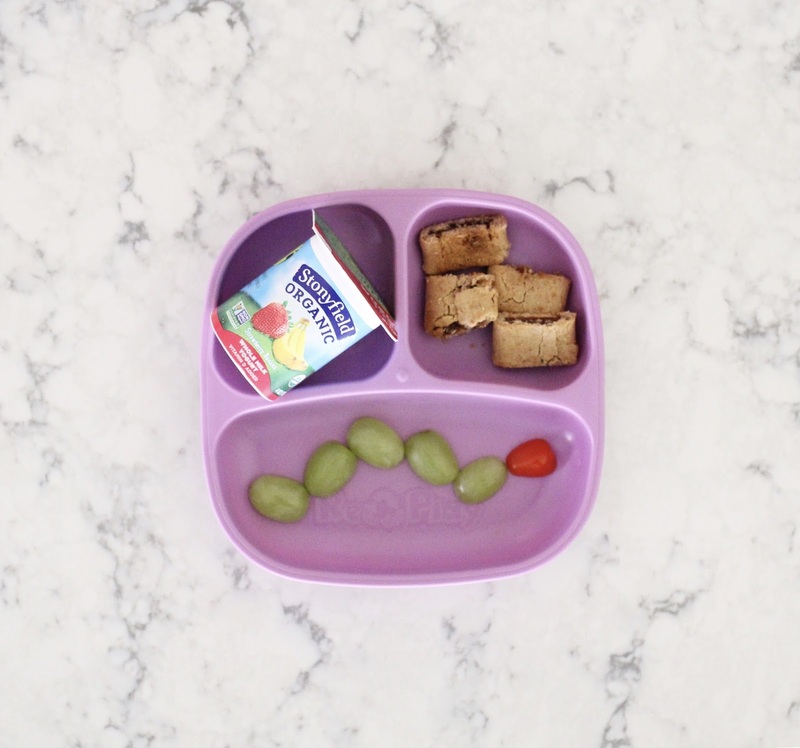 I know some Pinterest moms make beautifully designed food landscapes for their kids to enjoy….and the truth is, I just don’t have time for that. I have three kids who all tend to need me at the exact same time. So I can make a grape flower or caterpillar…but that is about as creative as I get. 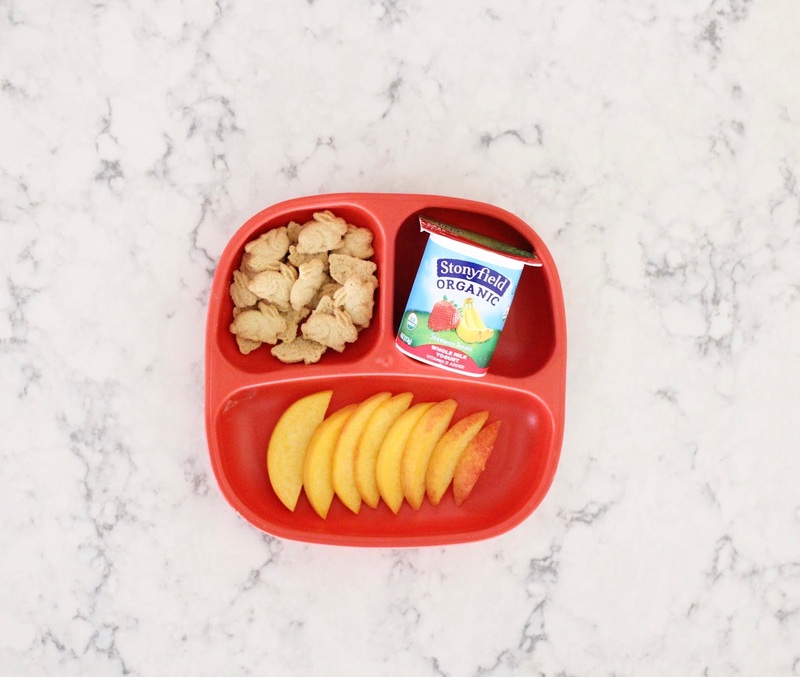 I love seeing what other moms prepare for their kids at snack time, so I thought I’d share a few simple and easy snack ideas that have been a big hit in my house. 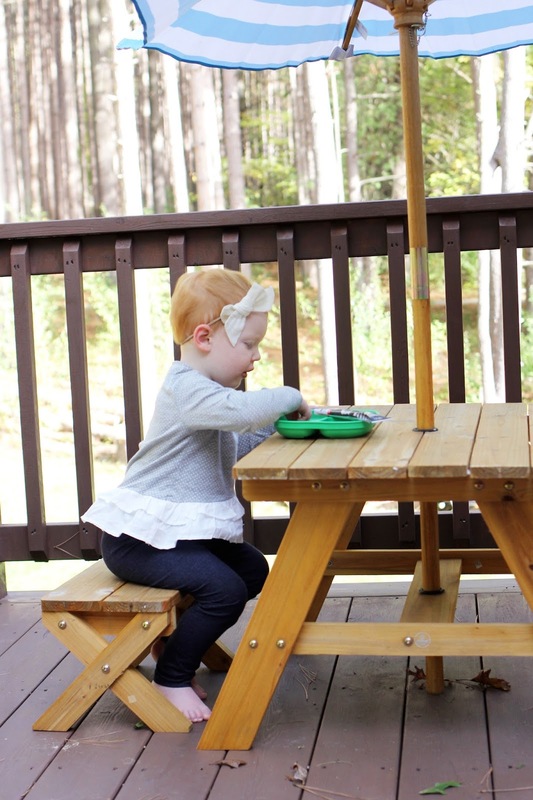 We use these ideas for after school, after nap time, or really just any time! 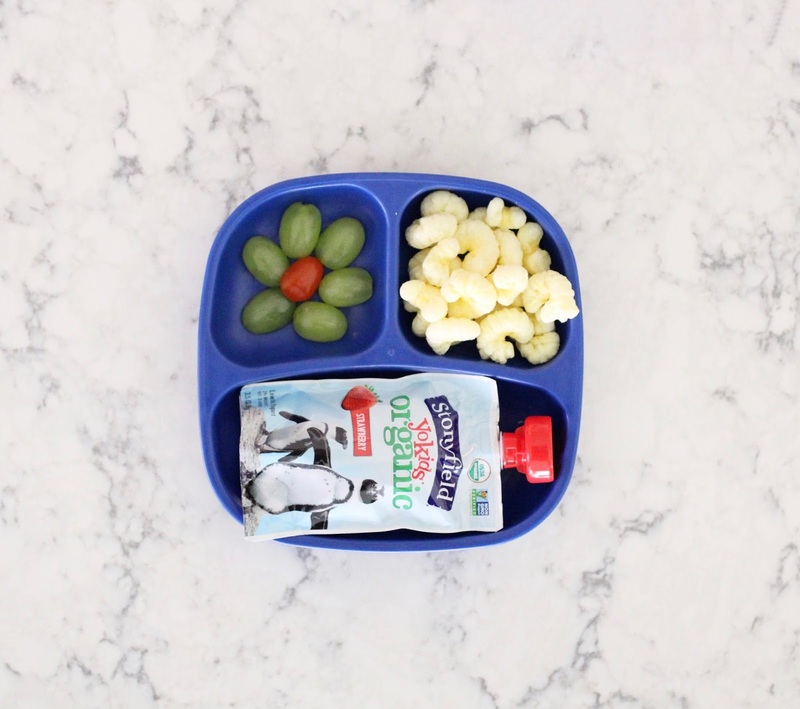 I’ve been trying to introduce fun and healthy snacks to the kids so that they develop healthy habits. They don’t always eat everything I offer them, and that’s fine. I use what I have on hand each day and try to introduce new things while still sticking to some of their favorites. 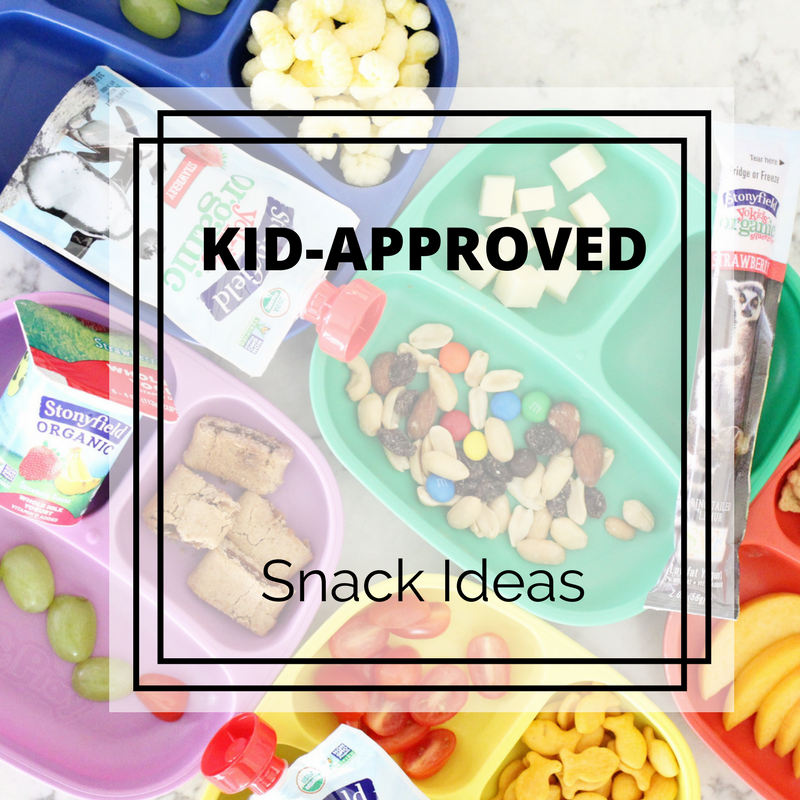 My kids are much more willing to try a new snack food if it’s just a few little bites surrounded by foods they love! 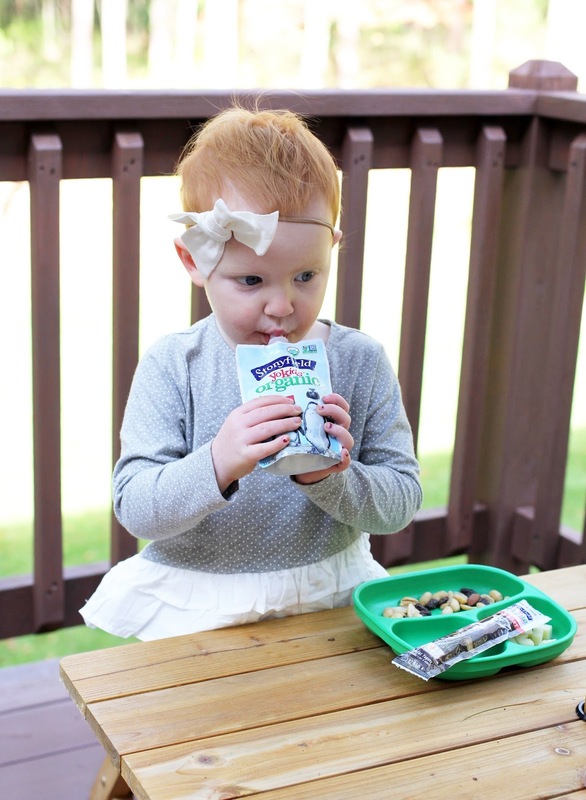 25% – 40% less sugar than the leading kids’ yogurt! 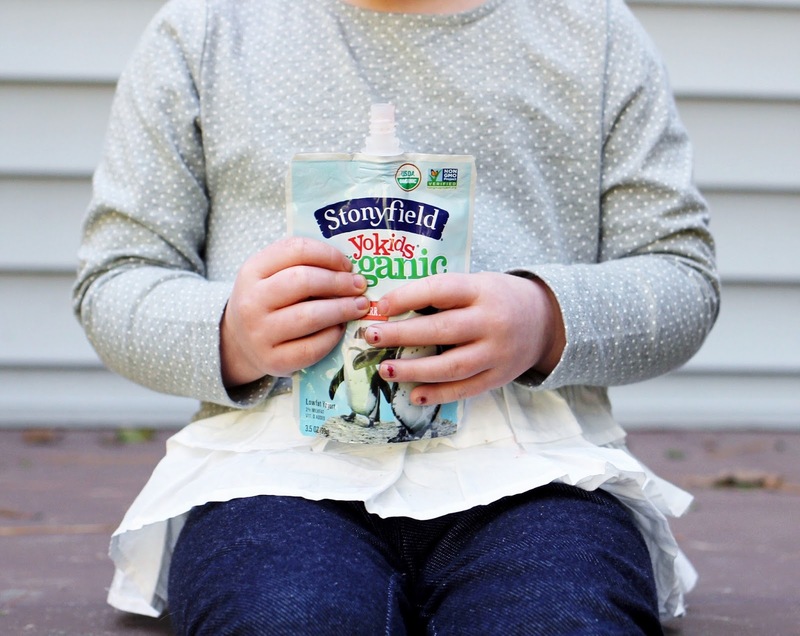 Stonyfield® Organic YoKids® yogurts are certified organic, which means that each cup is made without the use of pesticides, artificial hormones, antibiotics and GMOs. 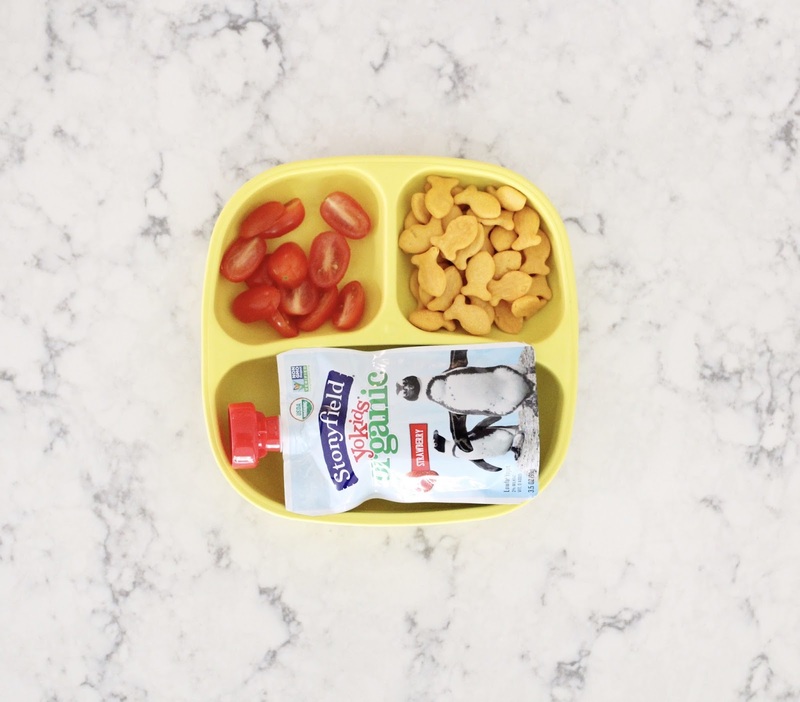 I love that I can feel good about offering them to my kids at snack time. I also love that yogurt helps fill them…otherwise both kids are all over me begging for a snack while I’m trying to get dinner ready. So there you have it! 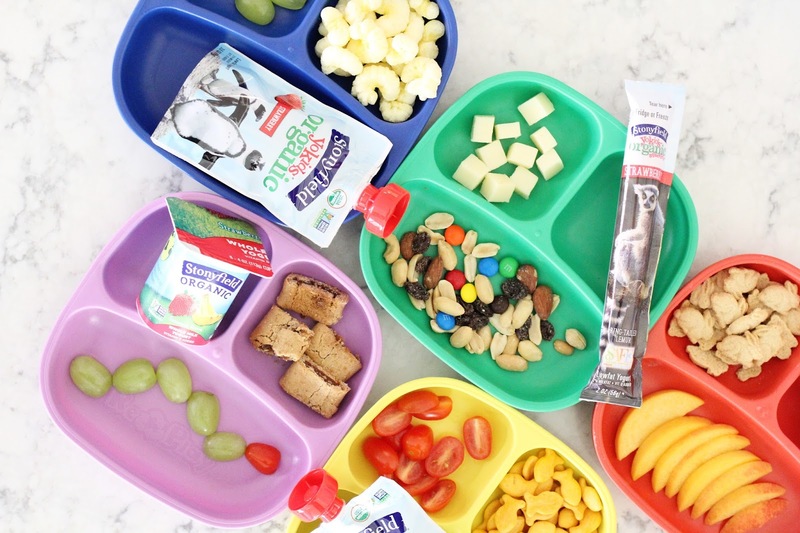 What kinds of snacks to your kids enjoy? I see the first thing Sadie "removed" from the trail mix was the M&Ms! !